Rehabilitation & Upgrade of Potable Water Treatment Plant. Infrastructure is the backbone of every civilization and among this the drinking water and waste water is an essential topic. Many towns are fast growing and the water plants previously situated at the town borders will be found now in a dense populated area. After a long time of operation neither the quality nor the quantity of the treatment can be achieved any more. Respond to this growing demand is limited due to the lack of site space. But the networks are designed with this plant locations and building new plants at the town extensions needs a new network architecture and new infrastructure. This task will be costly and time consuming. 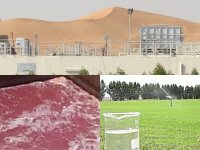 MENA-Water is supporting its clients to find advanced solutions by upgrading and rehabilitating of existing, outdated plants. An important aspect is the improvement of operation and plant control. We implement online monitoring systems based on SCADA to support the operation staﬀ with process data and visible plant control. Project: Rehabilitation & Upgrade of Potable Water Treatment Plant in Gambella, Ethiopia from 5040 to 10000 m³/day. 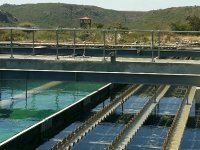 August 2014: The Oromia National Regional State invests in upgrading and optimizing the water treatment plant of the city of Adama. Al Saad, Al Ain – U.A.E. 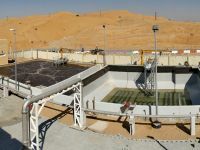 Khartoum North WTP Rehabilitation & Upgrade – Bahri, Khartoum North, Sudan. 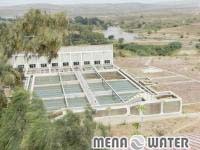 MENA-Water renewed and increased the sewage treatment plant in Hag Yusif in Khartoum, Sudan. At the same time a conversion to SBR process and the installation of a tanker station took place. The SBR treatment plant capacity is 17000 m³/d.